Did you know how many health benefits do curry leaves offer? What has carbohydrates, fiber, calcium, phosphorous, irons and vitamins like vitamin C, vitamin A, vitamin B and vitamin E…phew… all packed in one? The humble curry leaves of course, that usually get picked out and thrown from your plate. In Ayurvedic medicine, curry leaves are believed to have several medicinal properties such as anti-diabetic, antioxidant, antimicrobial, anti-inflammatory, anti-carcinogenic and hepato-protective (capacity to protect liver from damage) properties. So next time, think twice before discarding them. These tiny wonders can do a great deal of good. 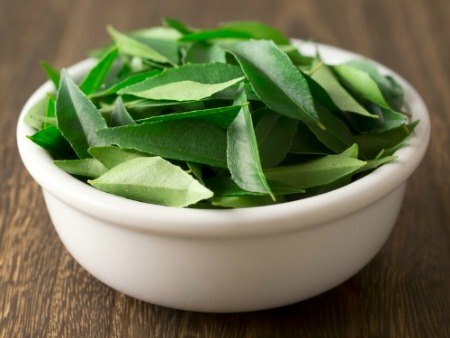 Read on to discover the health benefits of curry leaves. Shield yourself from cancer: The chemical constituents found in curry leaves such as phenols are helpful in fighting cancers such as leukaemia, prostate cancer and colorectal cancers. In fact, some ayurvedic doctors suggest eating five curry leaves every morning to keep the big C at bay. 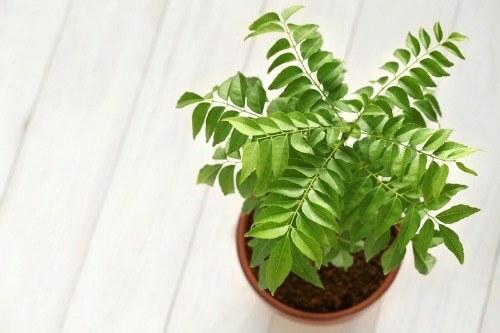 Say goodbye to anaemia: Offering a rich source of iron and folic acid, curry leaves are widely used to counter anaemia. Fight diabetes: By affecting the insulin activity of the body, curry leaves control your blood sugar levels. Boost digestion: Curry leaves alter the way your body absorbs fat and hence aid in weight loss. With diabetes strongly related to weight gain, consuming curry leaves means you are tackling two problems simultaneously. Lower cholesterol: Packed with antioxidants, curry leaves are known to reduce LDL cholesterol (bad cholesterol). Handle greys: Curry leaves not just control greying of hair but also help in treating damaged hair, adding bounce to limp hair, controlling hair fall and treating dandruff. Soothe skin irritation: Application of curry leaves helps in treating skin bruises and burns as well as rashes and insect bites. Correct vision: Curry leaves are useful in eye problems such as cataract and also prevent vision loss. Reduce chest and nose congestion: Swallowing a spoonful of powdered curry leaves mixed with honey twice a day can relieve you from wet cough, sinusitis or chest congestion. Use as an alternative to antibiotics: Research on curry leaves has revealed that they are great in battling bacterial and fungal infections and are reportedly as good as popular, mainstream antibiotic drugs! If you wish to add anything about curry leaves, please share in the Comment box below.